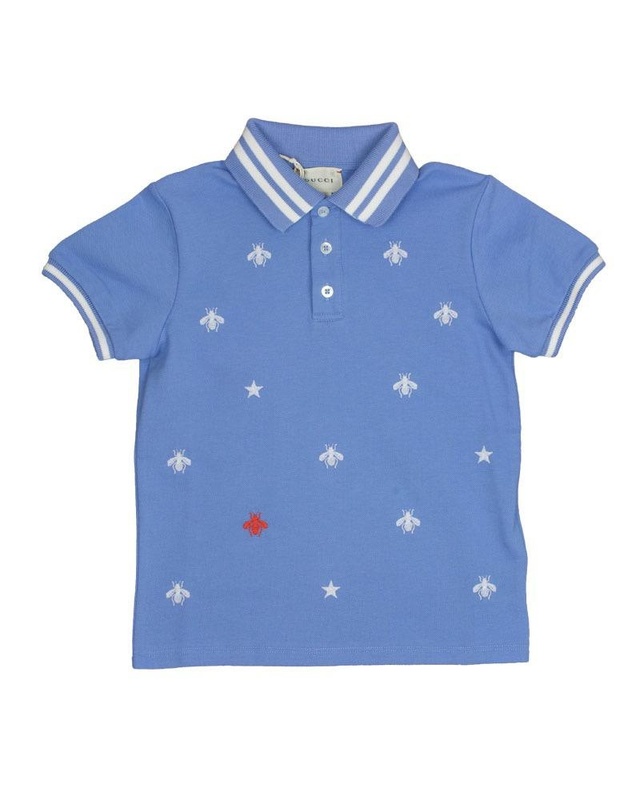 Gucci soft cotton sky blue polo with white stitched bumble bee detailing and white trim. 'Mini-Me' style. 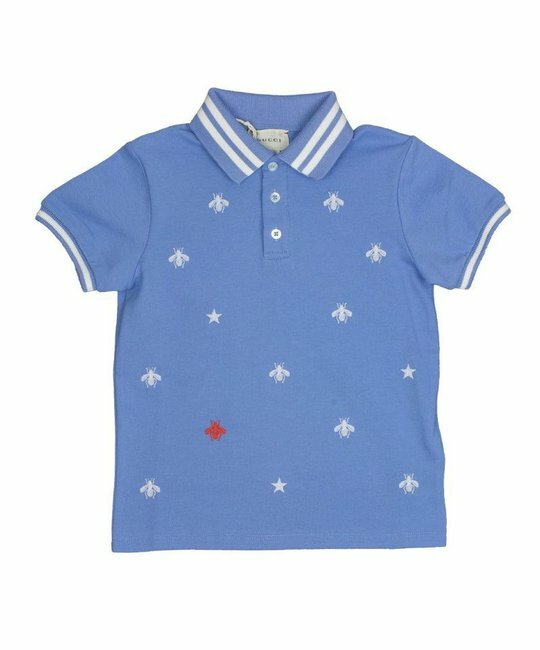 96% Cotton, 4% Elastane. Made in Italy.